Hawaii’s most exclusive Grand Penthouse. This Estate in the Sky represents the pinnacle of high-end luxury living and architectural sophistication with its sweeping water-inspired glass facade, high ceilings, and stunning 360-degree orientation. Waiea 36 GPH A and 35 PH C is an offering of two residences and two tax keys with over 9,776 square feet of luxurious living and over 1570 square feet of decks, a private rooftop infinity pool/spa, wine room, media room and private garage. When sold together the residence is offered at $36,000,000. Individual unit offerings: Waiea 36 GPH 36 A: $29,000,000 with the first right of refusal to the Buyer to purchase the Pool-House PH 35 C for $7,000,000. Prime location in the heart of the award-winning Ward Villag.e master planned resort. Please, send me more information on this property: MLS# 201822052 – $36,000,000 – 1118 Ala Moana Boulevard Unit 3600, Honolulu, HI 96814. 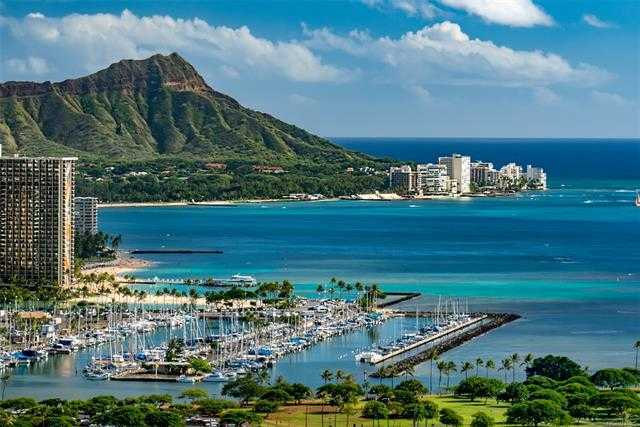 I would like to schedule a showing appointment for this property: MLS# 201822052 – $36,000,000 – 1118 Ala Moana Boulevard Unit 3600, Honolulu, HI 96814.